We’re very pleased to introduce the new INCRA Mast-R-Lift II, still custom built just for us by JessEm in their Ontario, Canada facility. Like the previous version, the INCRA Mast-R-Lift II allows fast, incredibly precise height adjustments conveniently made from above the table, and it also provides you with the ability to change router bits from above. 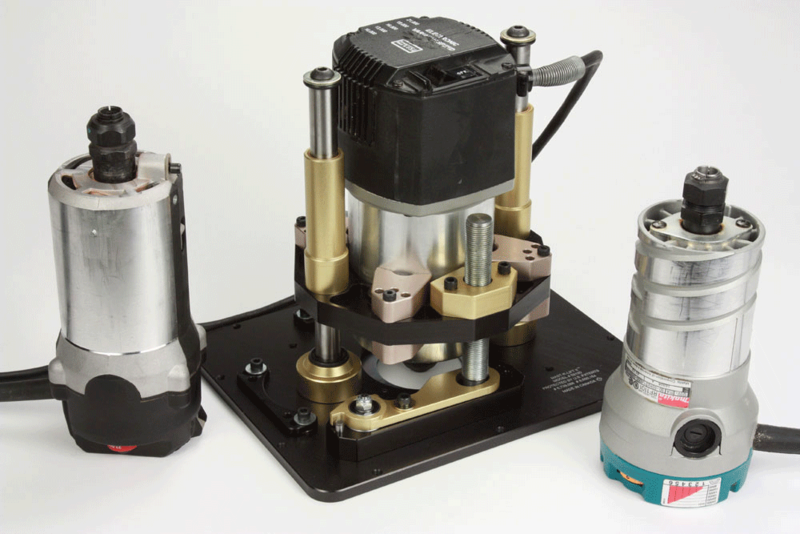 This new model uses an exclusive system with a total of 5 sealed ball bearings on the lift screw and cam lock, making it the smoothest, lowest-friction router lift we’ve ever used we’ve actually cranked up the heaviest routers with just one finger! The quarter-turn cam lock is operated from the top using the lift crank to eliminate height drift. The previous generation was effectively bomb-proof, and we expect the new model to continue that reliability. Lots of great features in a simple, attractive package! Includes 5 steel reducing rings - 3/8", 1", 1-5/8", 2-5/8", 3-5/8"
The standard version has a 9-1/4" x 11-3/4" x 3/8” plate size that's compatible with all INCRA Router Tables and some other brands. There is also a special version available exclusively through Rockler with an 8-1/4" x 11-3/4" plate size to fit Rockler and Bench Dog router tables. Also improved on the INCA Mast-R-Lift II: the new carriage design accommodates a wide variety of routers without the need for adaptors. The four aluminum clamping blocks are simply repositioned on the carriage plate when changing from one model of router to the other. 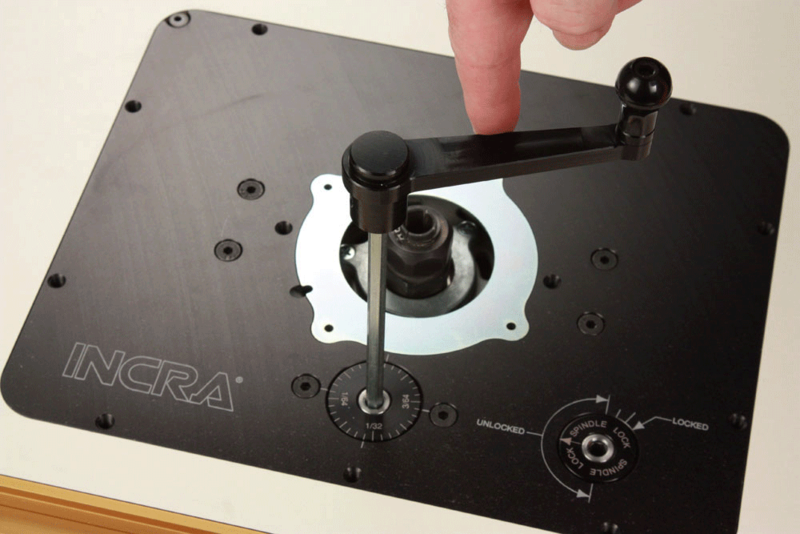 Router Table Compatibility: Fits all INCRA Router Tables and some other brands that use a 9-1/4" x 11-3/4" x 3/8" plate size with a 0.750” corner radius. For tables like Kreg and JessEm that have no rabbeted ledge, use the CleanSweep Table Adapter to support the router lift. 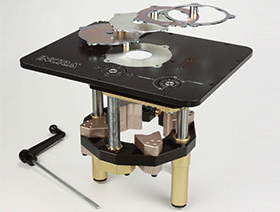 These versions of the INCRA Mast-R-Lift II are not compatible with Rockler or Bench Dog tables. Motor Compatibility: No adapters needed! 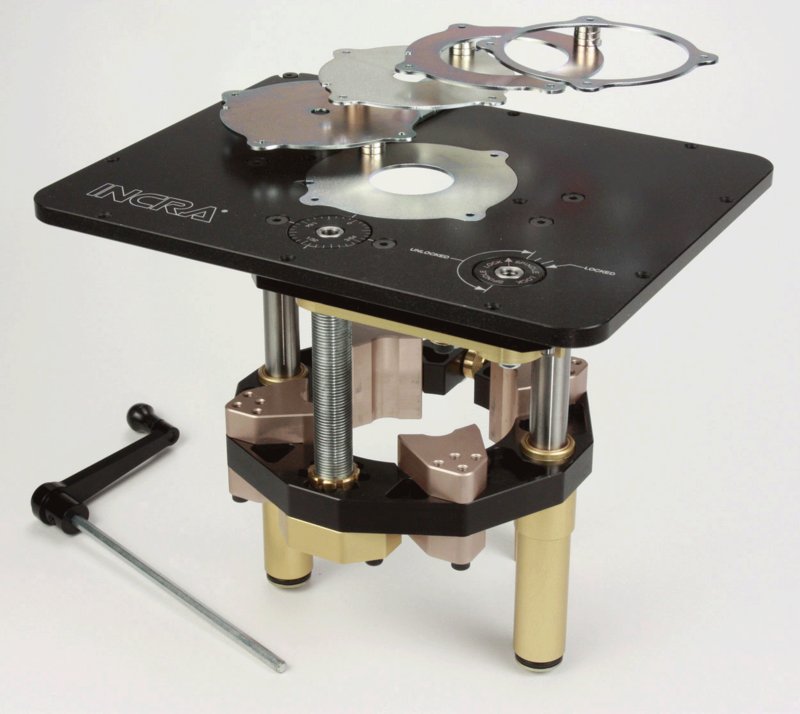 The four aluminum clamping blocks have 6 preset positions on the carriage plate to match the diameters of a wide range of fixed-base router motors. Works out of box with 18 of the best selling routers on the market. No expensive adapter collars required. 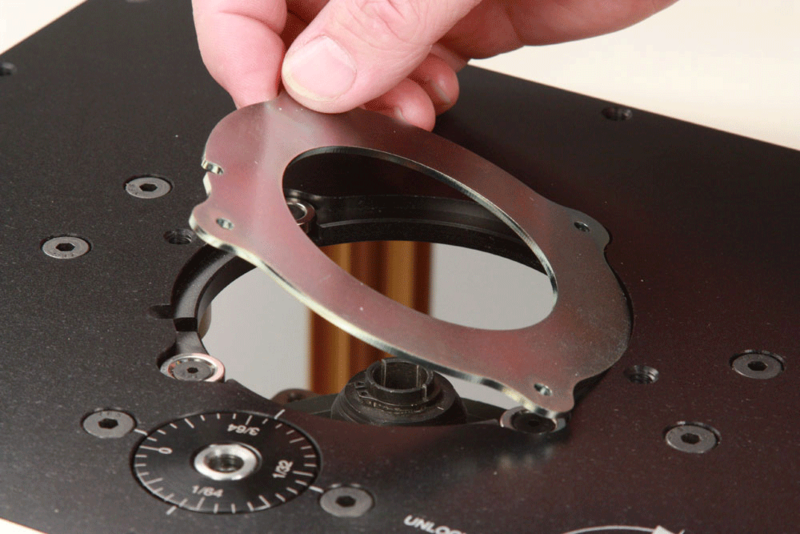 Includes INCRA MagnaLOCK Magnetic insert rings. 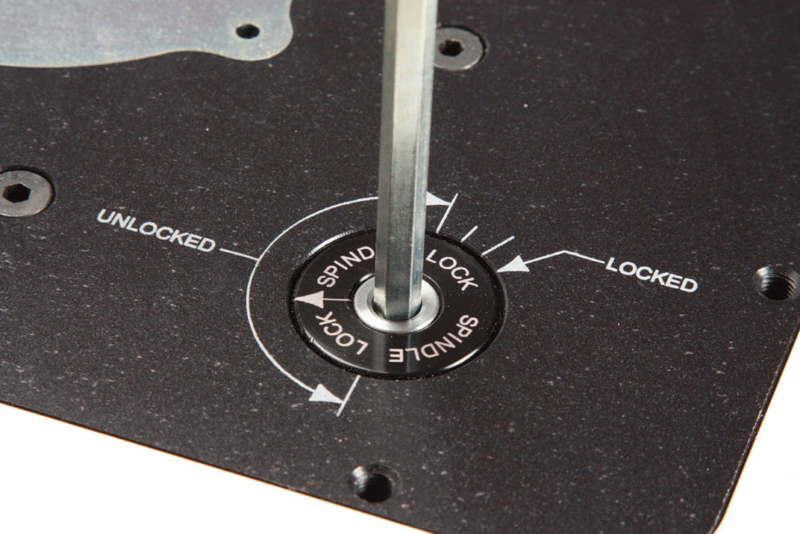 Ball bearing driven shaft lock can be engaged with two fingers but provides a ton of lock down. Raise and lower with one finger. Click to download INCRA Mast-R-Lift II Manual in PDF format. Click to download INCRA Mast-R-Lift II Video in Windows Media format.